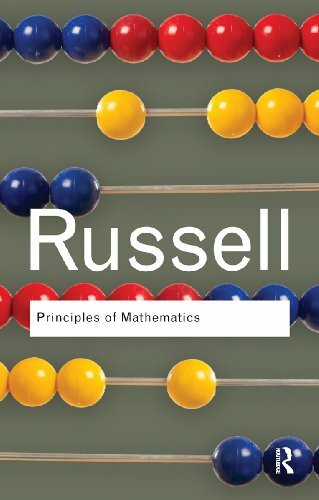 Russell's classic 'The Principles of Mathematics' sets forth his landmark thesis that mathematics and logic are identical -- that what is commonly called mathematics is simply later deductions from logical premises. His ideas have had a profound influence on twentieth-century work on logic and the foundations of mathematics. This course assumes you know how to use truth functions and quantifiers as tools. Our task here is to study these very tools. Contents: logic of truth functional connectives; first order logic of extensional predicates, operators, and quantifiers.